This is a package of 12 Heavy Duty Steel Tent Stakes. These are some of the toughest tent stakes you can purchase! These are great for Camping. Also, great for bouncers and inflatables. These are made by highly skilled craftsment in eastern Tennessee. 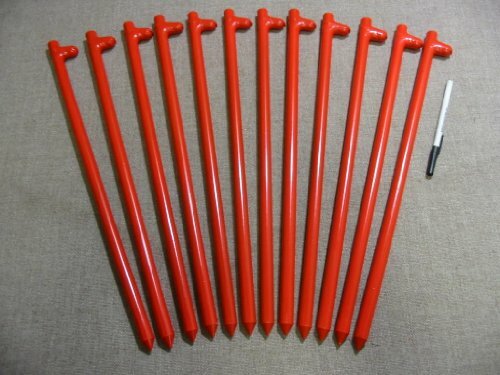 Hunters love these orange stakes for hunting trips. Also, good for green houses, hoop houses, garden stakes, play tent stakes and trapping stakes.